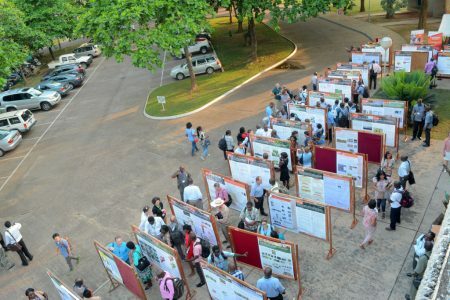 After years of reduced attention, IITA research on natural resource management (NRM) has made a strong come-back and is now a fundamental component of the research portfolio. 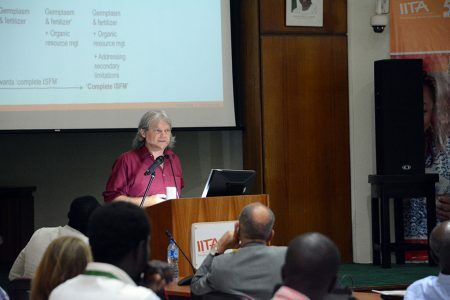 “It is truly impressive how far we have gone with the work we have done, particularly the tools, methodologies, and technologies, especially in the past 3 years in social science, crop breeding, and biotechnology,” said IITA Director General Nteranya Sanginga in reaction to the various presentations done by scientists in these areas during R4D Week held at IITA-HQ in Ibadan. 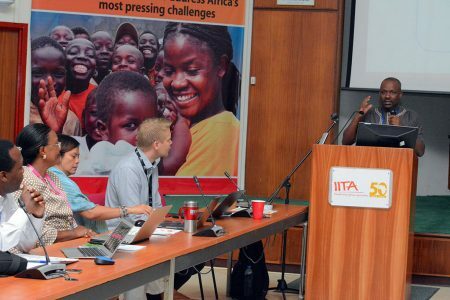 Presentations from units under the Research Support Directorate kicked off Day 3 of R4D Week with presentations on the status of the unit, achievements, and future activities. Various side meetings and training sessions made up the rest of the day. 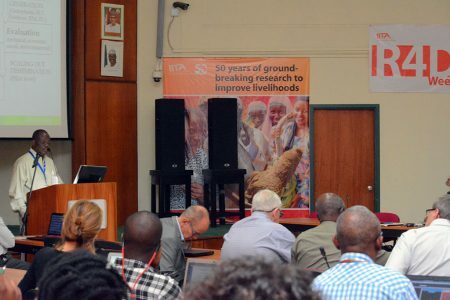 The IITA Conference on Food and Nutrition Security Futures was held on 24 November at the IITA Conference Center, Ibadan, as part of the closing program of the IITA50 celebration. 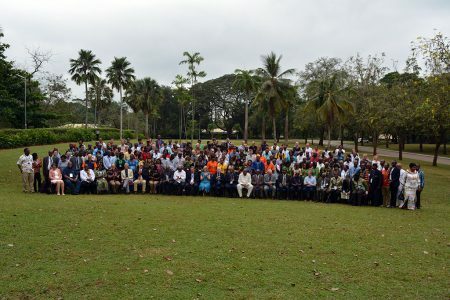 The year 2017 marks IITA’s 50th anniversary. The anniversary celebration reflected two milestones—the first 50 years, covering the period from inception up till now; and the next 50 years. 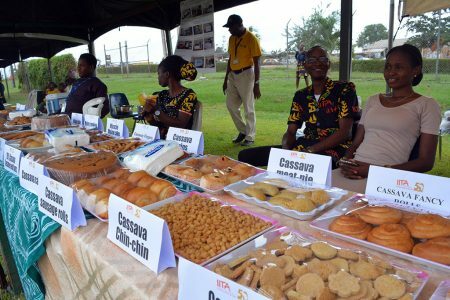 It was a day of fun and laughter, and celebration and appreciation for the entire IITA community, friends, and well-wishers, as they gathered at the IITA Sports Center on 25 November to celebrate the IITA 2017 Open Day. 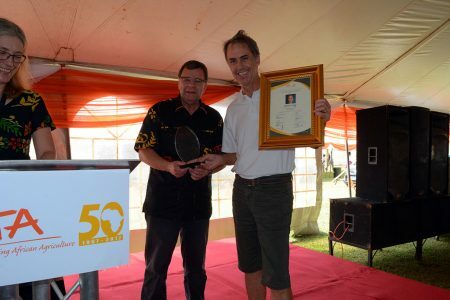 Board of Trustees (BoT) Chair Bruce Coulman announced the recipients of the 2016 Board Awards for Excellence, Gold Edition, as part of the commemoration of IITA50 anniverary during the Open Day program held at the end of R4D Week on 25 November.